River reflections and climate change, the actual subject matter. Framed in one single image since this picture represents what is important in life. To me that is, hopefully to a lot of other people as well. Interdependence of systems. How we fit in. We love people, we love nature, we love things. Not necessarily in that order although the things better not be placed first in row. I like the waters on this planet. My name bears the meaning. The seas, the oceans, the lakes, the rivers, streams and waterfalls. All these areas of water are connected – as winter steps back the snow and ice will melt, running down into the rivers, the water following its course, flowing into a sea or an ocean. It implies, in a way, that when you’re bathing your aching feet in a cold stream after a long hike, you are connected to children playing in the waves at the beach a thousand miles away, to the old man fetching water from a river somewhere, to the animals on this planet that come to drink. This notion also illustrates the interdependence of the systems. The earth is one ecosystem and quite capable at managing the operations. As long as human interference won’t put it to the test. Sadly enough that is precisely what is happening. Too many and too much. And there is a window of time. Looking at the bright side: we can do something. Technology may help. But the most important of all shall be whether or not the individual is willing to act according to the planets’ needs. Which is, due to the aforementioned interdependence of systems, nature and our lives, not a matter of sacrifice but of common sense. And taking up responsibility. It’s not my backyard. Wrong. Climate change, global warming – we know by now it is certainly not a hoax nor an issue to be exclusively addressed by conservationists and environmentalists. We are all involved here. However, some are looking at it with a ‘it’s not happening in my backyard’ attitude. But it certainly is – the walls that surround it cannot prevent the back garden to be affected by large-scale changes. Always keep an eye on the front garden as well…..
More than once it has crossed my mind that maybe it’s about time to relaunch the movie ‘The day after tomorrow’. Dramatised of course, it could climate change deniers show what might happen if certain changes are pushed beyond. Scientific consensus on global warming. Global warming, the gradual increase in the average temperature of the Earth’s atmosphere and its oceans is a fact. Not an opinion. There is scientific consensus: the Earth is warming up. And this is a development that is believed to be permanently changing the climate of our planet. Multiple studies in peer-reviewed scientific journals show that 97 percent of the climate scientists agree. Let me take you back to the image above. 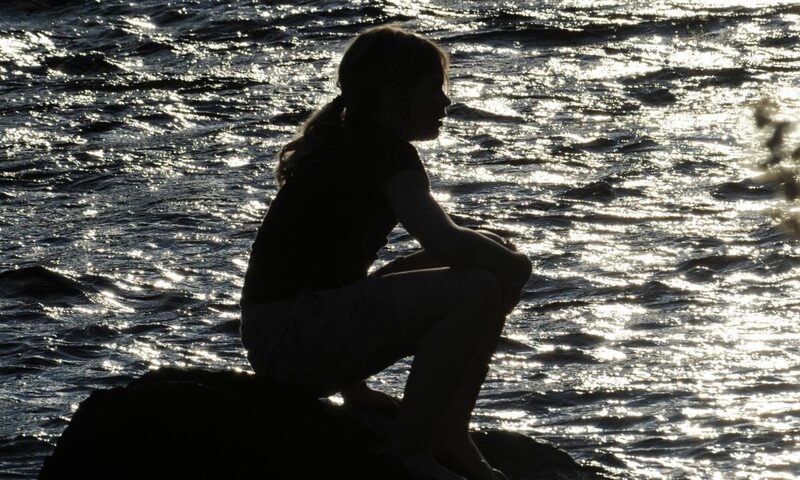 A girl sitting on a stone in the river. Just an ordinary summer’s day. At the same time this photo perfectly exemplifies my thoughts. Life comes in layers, and here it is she, me and the years to come. If somewhere in the future my daughter’s daughter finds a stone in a river, wades through the water and sits there, just staring, throwing a stone, fishing a leaflet out of the water and enjoying every minute of it, I will be happy. Like I was back then, watching her, remembering I was doing exactly the same. Our planet, the only one we have. This river runs through it, in Sweden. We are all connected by water and with the touch of her hand, she who wants to become a veterinarian, is linked to her favourite animal, a snow leopard in the Himalayas. As well as to a Svalbard polar bear, or her cousin in Australia. Feeling the cold water with your hand is reality. An outbound link in a digital world. Take care of what you love. Climate change: how do we know? – NASA, Global climate change, Vital signs of the planet. Global Warming: News, Facts, Causes & Effects – LifeScience, Topics, Global Warming. IPCC, Intergovernmental Panel on Climate Change, website.